"She is so desperate to end it all, she currently has a toothbrush inside her." Jane's daughter was admitted to an Assessment and Treatment Unit (ATU) at 19, after struggling with anorexia and other mental health issues. Jane tells the BBC's Victoria Derbyshire programme it has led to desperate behaviour, including swallowing a toothbrush, which is still in her body 10 months later. "She's got a huge bald patch on her head where her hair will never grow back, from all the head banging she's done," she says. "One of the doctors said possibly she's caused more brain damage. "We are powerless and have to sit back and watch her suffer," says Ayla's grandmother Judy Haines. "It's torture for her and for us." The ATU where she is staying said it was unable to provide comment on an individual case. But it said it, "works with every individual to design a package of care around them, to keep them safe and help them progress back to the community". ATUs came under scrutiny in 2011 after the BBC's Panorama exposed horrific abuse of patients at Winterbourne View. The government promised to end their use for those capable of living in the community with proper support through a programme called Transforming Care - which cost £10m. Dan Scorer, head of policy at Mencap, said: "People are spending many, many years in there, they shouldn't be. Awful things are happening to people in there and they shouldn't be. "And in the same way asylums were closed, these places need to be closed and people need to be supported in the community." Linda and Chris Hutchings' 27-year-old daughter lives in a secure unit in the East Midlands. She was sectioned, aged 14, after battling with an eating disorder and depression. Her mum, Linda, says: "I wake up in the middle of the night and I am crying because I am so sad. "In one of the hospitals [not the one she is currently in] she was locked in one room for nine weeks, and it was so awful for her because there was nothing apart from a telly on a high bracket on the wall." Chris says: "Can you even envisage another situation where a human being is locked up on the presumption of guilt? On what they might do to themselves or others? You lose that basic right to be free." 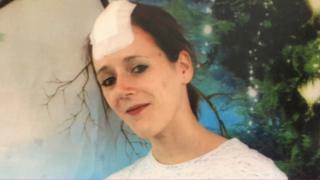 Birmingham City Council, which is responsible for their daughter's care, also said it could not comment on individual cases, adding, "there are always safeguarding measures in place when somebody's liberty is limited due to illness or disability". Labour's shadow care minister, Barbara Keeley, said the government was allowing private companies to make millions, because the ATUs cost five times the amount of a community placement. "They are like the Bedlam institutions in Victorian times," she said. "This is a hidden horror. There have been 40 deaths in these units in 2015, nine of those were people under 35." A Department of Health spokesman said: "We are determined to reduce the number of people on the autism spectrum with learning disabilities in mental health hospitals, and significant investment in community support has already led to a 20% reduction. "The NHS is committed to reducing inpatient numbers by 35% by 2020." But with the right support, some parents say that the government's transformation care programme can work. Fauzia Hussain, who has Tourette's and autism, spent 22 months in a secure unit. Her family says that she was prescribed high doses of medication, including anti-psychotic drugs and kept mostly in segregation. "It was a hopeless place. I'm a child psychiatrist and I couldn't access the right support," her aunt Shahana says. "I'm aware of so many families who haven't been quite so lucky. I live in fear that Fauzia might end up back in a place like that."